This website now makes available the updated Discussion Guide for teachers, health care professionals and service providers, and volunteers who work with families in which someone is living with Alzheimer’s disease or a related form of dementia. JC offers the Guide free to not-for-profit organizations and individuals to encourage open discussion with children about Alzheimer’s disease and related dementias. If any organization or entity wishes to use the play in its programming or in raising funds in any way, or wishes to produce the play, outside of a single classroom reading or performance, please contact JC Sulzenko to learn about applicable licensing requirements. 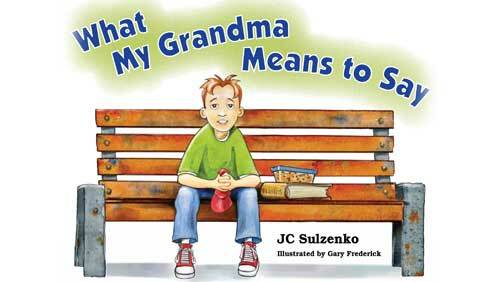 The Guide complements “What my grandma means to say,” JC’s ten-minute, one act play which gives children (Grades 4, 5 and 6) and families the chance to learn in a gentle way about how dementias of this kind affect a person and what they can do to support someone living with the illness. 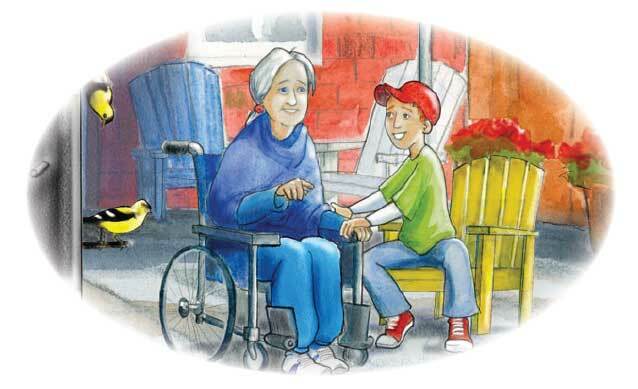 The setting provided by a reading or a performance of the play allows children to ask questions in a safe-feeling environment, moderated by a teacher or community member, who uses the questions and answers in the Guide to explore issues raised by Alzheimer’s in the family. Inside the Guide is information on how to use the play, how to start a discussion after the play, FAQs and their answers, activities for the classroom or home, sources of further information and the script of the play, itself. 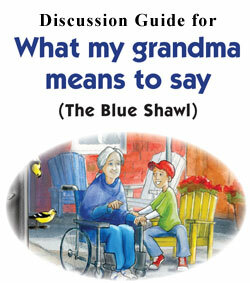 JC Sulzenko developed the Discussion Guide with her community partners, The Glebe Centre and the Alzheimer Society of Ottawa and Renfrew County, which uses the play and the Guide (which it printed) in its educational outreach programs. The storybook adaptation of the play also figures in programming offered by the Society and other organizations working in the field, including the Alzheimer Societies of Thunder Bay, Prince Edward County and Leeds-Grenville. 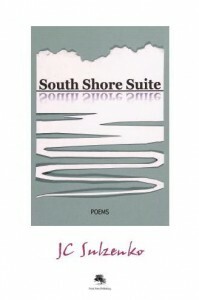 Please take a moment to register with us your interest in the Guide. Registration is entirely optional but appreciated. If you choose to register, we can inform you of updates as they become available. Your registration will also help us to develop best practices for using this educational tool. A confirmation email will be sent to your mailbox: please read the instructions to complete the registration. When registering on our site, as appropriate, you may be asked to enter your: name, e-mail address or organization. The email address you provide, may be used to send you information and updates pertaining to updates or related product information. We do not collect sensitive credit information. Your name and email address are only accessible by those authorized with special access rights to our system. Those authorized are required to keep the information confidential.